Surely there is someone out there who would like to be the proud owner of this fine 50mm f/1.2L lens for Canon EOS mount cameras. Its a fantastic lens offering a beautiful DOF control and low light capability. Those who know my desktops and other digital imagery from the last year and a half or so have seen it in action and what it can do. Own a little piece of my photo taking history heh. I have decided to part ways with it for something wider, a 35mm lens. Because it is my only lens I simply need something a bit wider for some of what I need it for and so here it is, yours for the taking. It is a used lens but the only sign of use is there along the edge of the front of the lens a couple little scratches that are only seen if you look closely and in no way effects the lens’s performance. I really love this lens and hate to part with it but I cant afford to buy another new lens without selling this one first. I am asking $1200 USD and shipping in the US is free and probably around $15 or so for international shipping though it would be easiest to sell it within the US. It comes with everything it originally shipped with as seen below and payments will be accepted through Paypal. If you are interested simply send along an email using the link in the links section to the right or the link at the bottom of the page. Thanks! 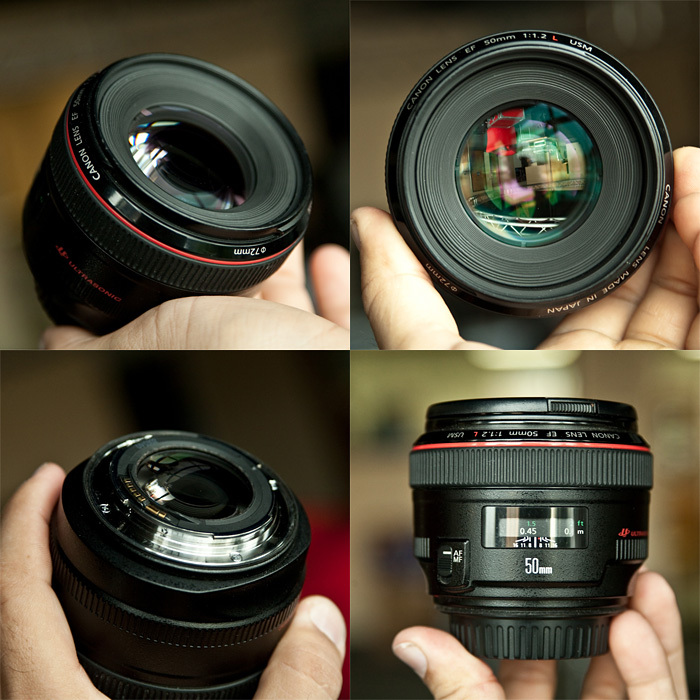 Beautiful lens. 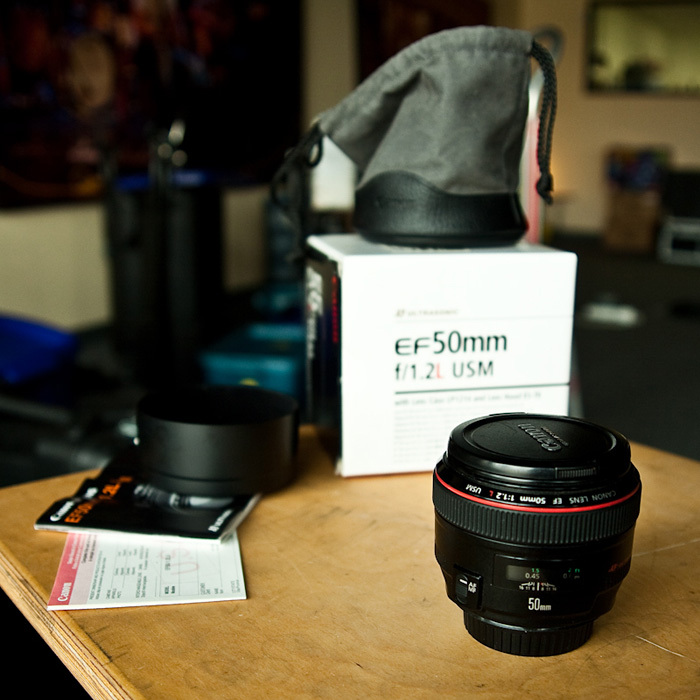 I have the cheaper “nifty fifty” f1.4. If you’re looking for something wider, I shoot with the Sigma 30mm f1.4. It’s amazing, I rarely take it off. It’s also fairly cheap (for a lens). Somewhere slightly above or below the $400 mark depending where you’re looking. I had the 1.4 before I had this one, I dropped my camera and it landed lens down jamming the poor lens into itself, after a repair it worked but the autofocus motor was shot in it so I used it manually until the say it was stolen along with a bunch of other photo gear. Used my insurance money to buy the 1.2L heh. I did like the 1.4 though and will pick up another 50mm eventually I’m sure. As for a wider one I am already to press the order button on a 35mm f1.4L from canon which I used to own and can not wait to have again as its just the perfect lens for my needs as a photographer 95 percent of the time. Thanks for sharing and for the advice! always appreciated. Going, Going, Gone. I see that you sold it on eBay. Lucky buyer.